Dr. Khan is double board certified in Plastic and Reconstructive Surgery as well as General Surgery. Dr. Khan pledges to you 100% honesty and transparency in your experience at Executive Plastic Surgeon. Dr. Shaher Khan is well-respected by patients and medical professional alike. He believes that patient education and realistic expectation are key to the success of any surgical procedure. Dr. Khan will take the time to get to know you, to understand your goals and to provide you with information and options to allow you to make the best decision regarding your surgery. 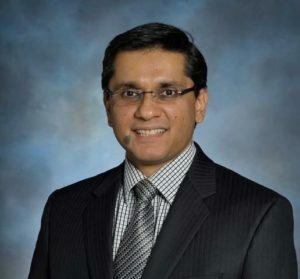 After completing his General Surgery residency, Dr. Khan dedicated another three years in fellowship training for Plastics and Reconstructive Surgery at the highly ranked Detroit Medical Center. Contact us today to schedule a consultation with Dr. Khan. Yale University School of medicine, department of Surgery Categorical Surgical Resident, Yale New Haven Hospital. Winner of “Acticoat Case Study Contest”. “Use of Acticoat in the Successful Management of a Severe Burn Coexisting with a Wound Infection in a Diabetic Patient”. Boswick Conference. Winner of “Acticoat and Versajet Case Study Contest”. Title: “Use of Acticoat and Versajet in the Successful Management of a Severe Contact Burn to the Face, Hand, and Chest”. Boswick Conference. Recipient of the “North American Burn Society Scholarship”. Best clinical paper: “Closure of a Complex Traumatic Scalp Wound with 7 Consecutive Layers of Dermal Regeneration Template”. Presented at the NABS conference. .”Annals of Thoracic Surgery; 09 / 2001, Volume: 72, Pages: 836-843. James Jeng MD, Philip Fidler MD, Julio Sokolich MD, Amin Jaskille MD, Shaher Khan MD, Patricia White RN, James Street MD, Timothy Light MD, Marion Jordan MD.”Seven Year’s Experience with Integra as a Reconstructive Tool.” Journal of Burn Care and Research. 2007 Jan-Feb;28(1):120-6. Kaine EC, Fidler P, Schulz JT, Khan S, Crombie R, Dalton S, Warren A, Labonte E, Palmer J, Possenti P, Laird J, Atweh N. “Roll-Bar for Protective Posture Splint Limits Potential Trauma to Dorsal Hand Grafts.” Journal of Burn Care and Research. 2008 January/February;29(1):204-207. Diana Ponsky, MD, Donald J. Harvey MS IV, Shaher W. Khan MD, Bahman Guyuron MD.”Nose Elongation: A Review and Description of the Septal Extension Tongue-and-Groove Technique.” Aesthetic Surgery Journal 30 (3) 335–346. Plastic surgery training includes sixteen years of post-high school education, including specific training in reconstructive and cosmetic plastic surgery under direct supervision. Board-certified plastic surgeons have not only met very demanding requirements in order to sit for their boards, but they have also successfully passed a written and a 2-day oral examination, being critically evaluated for their fund of knowledge, their ethical standing, and their safe and effective approach to multiple reconstructive and cosmetic challenges.